Lucknow/New Delhi, May 21 (IANS) Amid concerns over “dangerous levels” of some substances in the popular snack Maggi noodles, the Uttar Pradesh food safety body on Thursday said its manufacturer Nestle was asked to recall the said batch, while the company assured it followed strict norms. 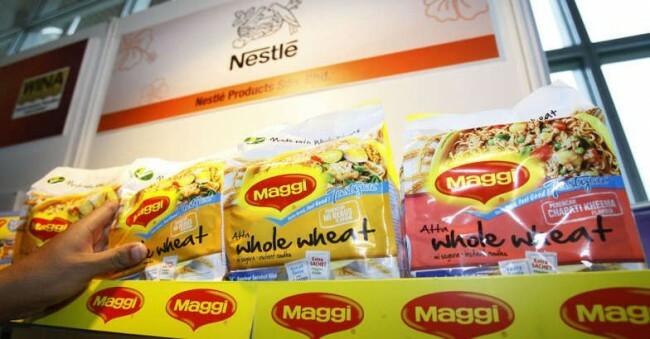 Uttar Pradesh Deputy Food Safety Commissioner Vijay Bahadur said orders had been issued to Nestle to also “look into the quality” of other Maggi batches, following some samples reportedly testing positive for possessing higher-than-permissible levels of lead and monosodium glutamate. Nestle sought to dispel roumours that orders had been issued to reacall all batches of Maggi. In an e-mail statement to IANS, the companty said the batch in question had already passed the “best before” date in November last year, and was sure that it had automatically been recalled. The samples, authorities in Lucknow said, were taken from a lot in Easy Day departmental store at Barabanki, a district on the outskirts of the state capital, last week. But Nestle maintained it was confident over these packs being no longer in citculation in the market. The state’s Chief Food Safety Officer Sanjay Pratap Singh added that more samples had been taken for testing and the teams from the department were asked to track if any Maggi packets from that batch were still in circulation in the market. The central food safety authority also told IANS it has initiated precautionary steps. “We have asked the UP government for reports regarding the tests (on Maggi noodles). Action will be taken according to what comes out,” said Food Safety Authority of India Director Bimal Kumar Dubey. He, however, said no orders to the company had yet been issued from the authority. On the issue of MSG, Nestle said while it does not add it to Maggi noodles sold in India, and stated that as much on the packaging, the use of hydolysed groundnut protein, onion powder and wheat flour to make the noodles all contain glutamate. “We believe the authoritiesÂ’ tests may have detected glutamate, which occurs naturally in many foods,” Nestle said, alluding that it may have been confused with MSG. On lead, it said, regular monitoring that was a part of stringent quality control consistently indicated adherence to permissible limits. Similarly, Consumer Unity and Trusts Society, a non-government organisation, said products like Maggi are consumed by a large number of people and any doubt over safety must be taken seriously. “The food regulatory authorities must be strengthened for this,” spokesperson Udai Mehta told IANS. The social media had its own set of remarks, some in a lighter vein, and some more serious since the noodle in question is a popular brand that completed its silver jubilee a few years ago. “A group of Indian hostelers have threatened to leave India if Maggi is banned,” Tweeted Zaid Hamid, speaking for students like him living in campuses, with whom Maggi has been a hit due to its availability, easy cooking-ways and pocket-friendliness. “The truth is MSG (monosodium glutamate) is widely used in Asian cooking and is present in all processed food like pizza, pasta, etc,” posted Somya Gupta, on a handle that’s been created for this, #maggiban, and has been trending well. “Maggi, the tempting two-minute quick fix and instant pleasure for all hunger pangs, is now in hot water,” said another tweet by Chandana Roy.